Dazzle Dry creates flawless nails without flawed ingredients. By manufacturing exclusively in the U.S, they ensure that the entire line is free from animal byproducts, animal testing, and harmful chemicals. 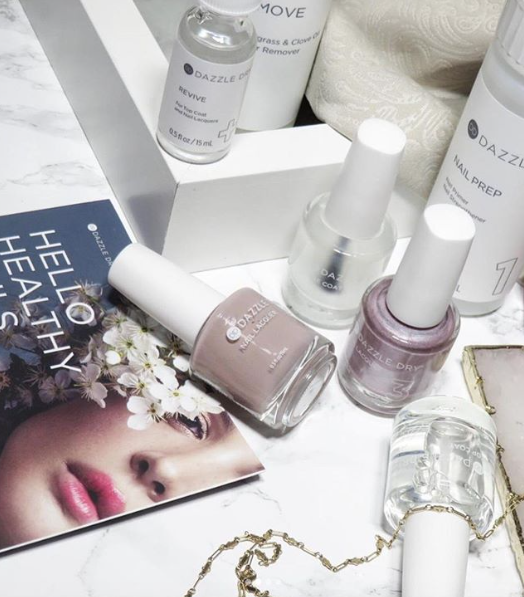 Thanks to Dr. Vivian Valenty’s signature formula, Dazzle Dry is the only vegan nail care system to dry in just five minutes and last up to three weeks. It applies and removes like a traditional polish, delivers the performance of a gel polish without the need for UV light, and strengthens natural nails in the process.